On a visit out to Hampton Point yesterday afternoon I observed the above site and on my way back off the island I stopped and took a quick look. 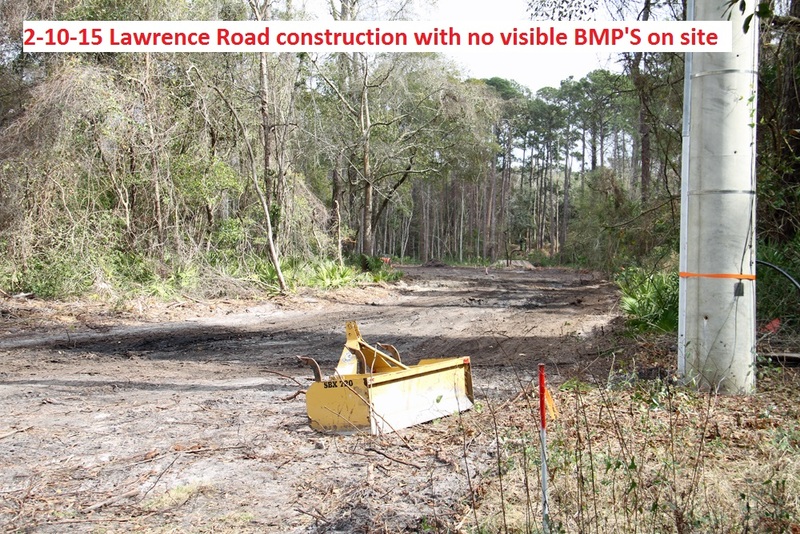 My observations are attached and they apparently show no BMP’s installed on the site with the exceptions of a gravel pad at the entrance/exit to the site. 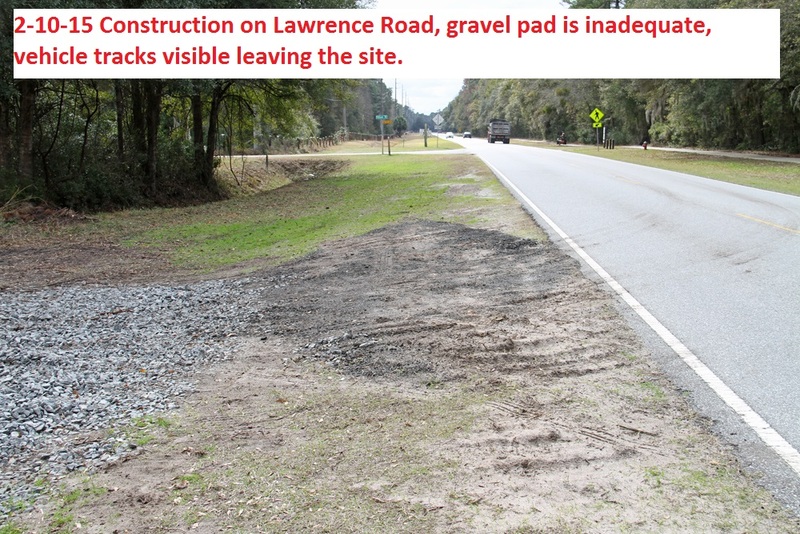 This gravel pad appears to not be up to the standard required in the green book for erosion control in Georgia. The standard according to the manual for gravel pads are 50 feet in lengthX 20 feet in width and six inches deep with gravel of the appropriate size.. As the attached photos show this gravel pad does not even come all the way out to Lawrence Road with vehicle tracks already starting to appear off site. This appears to be a new start up construction site and the manual requires that Best Management Practices must be installed prior to the beginning of earth disturbance or in conjunction with the initial disturbance of soil on the site. My attached photos indicate/show that neither have occurred on this site leaving it vulnerable to storm water causing sediment to leave the site. 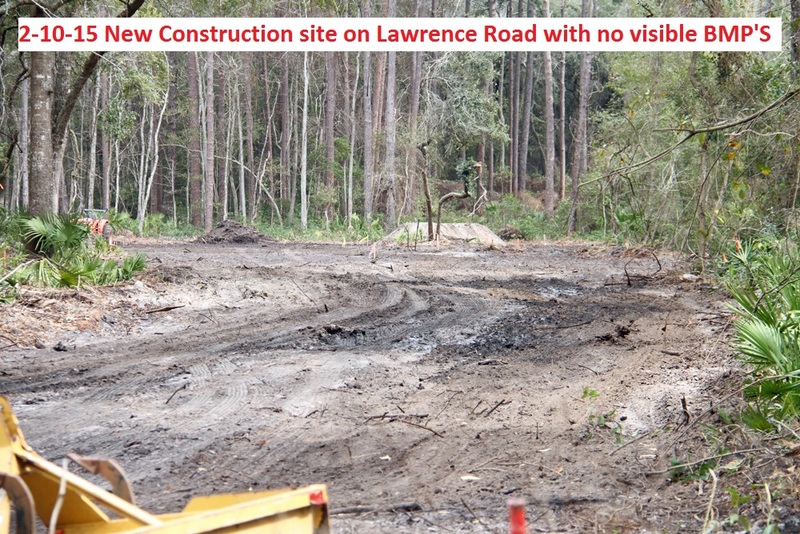 I also did not observe a building permit/land disturbing activity permit as required by Glynn County Ordinance. 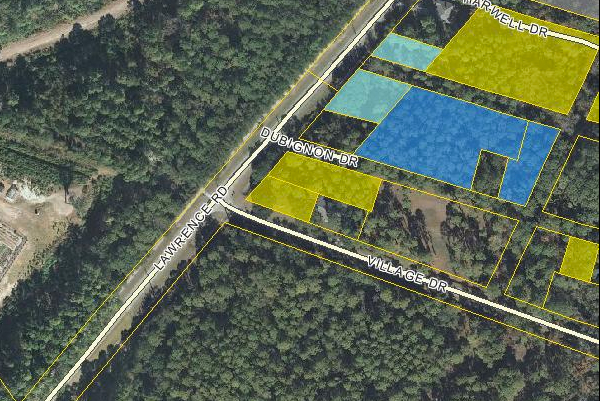 There is also a Glynn County tax map attached showing the location of the site just north of Village Drive off Lawrence Road. 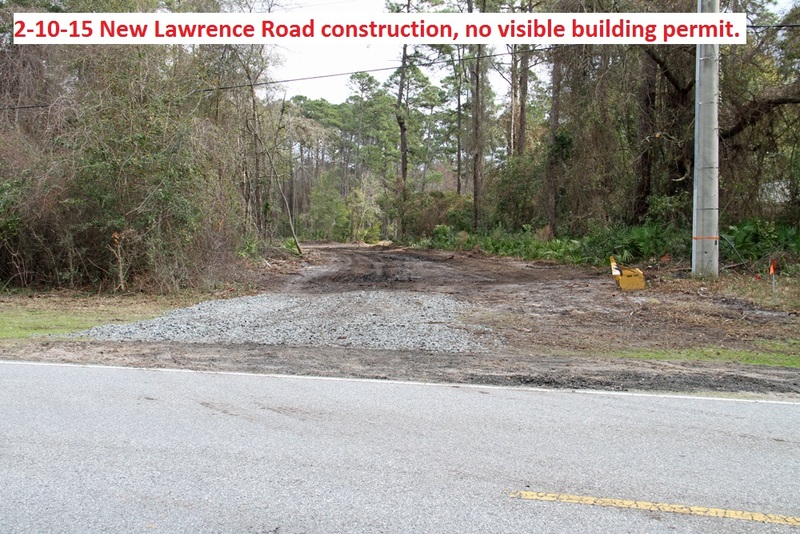 I am requesting you to assign someone to investigate this site and cause the site owner to become compliant with all Glynn County ordinances and state laws for erosion control on a construction site. Would you please inform me as to who owns this site, it is unclear according to the Glynn County tax map?